Did you run out of the gas tire in an isolated highway in Texas? Looking for someone who can help you fill up your gas tank? 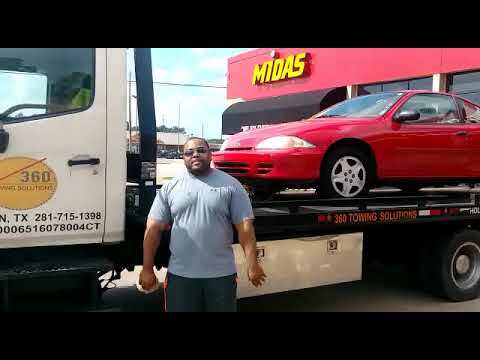 Residents and tourists in Texas alike value their vehicles a lot because it can be tough to have car troubles when towns are far apart from one another. There are places where service stations, stores, and residents are nowhere in sight, and not everyone you see on the road is willing to help or friendly. 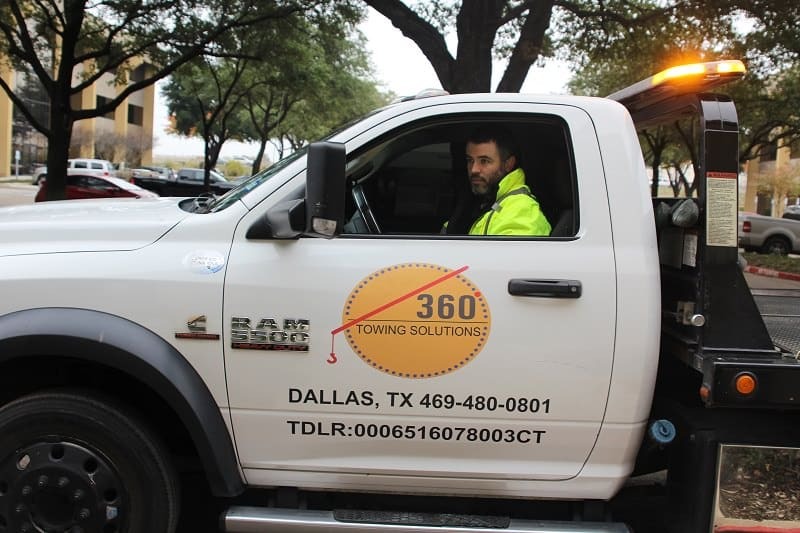 360 Towing Solutions and their network of licensed affiliates experts is a towing services provider located in Dallas that is open 24 hours a day, 7 days a week. We extend a helping hand to anyone who needs it in Texas. We assure our clients fast, efficient services in addition to safety, security and reasonable prices. Our prices are according to the work done on the car, the tools and equipment used in the job, and the hard work of our staff. Out of gas refill services is just one of the things we do on a daily basis. If you wish to take advantage of our other services, let us discuss in detail your car troubles and concerns. You can trust our team of mechanics to be able to do their work honestly and efficiently. Our support staff has a wide range of work experience in terms of repairing and maintaining cars. They know what to do. You can tell them your concerns. If you also don’t know the problem, they can do a quick diagnosis on the spot. We provide our support staff with regular training and coaching to further enhance their already superb skills. Call us at (972) 619-5012 and let us know how we can help. Let us discuss your preferred brands, the tools you want to be used, how you want us to take care of your car. 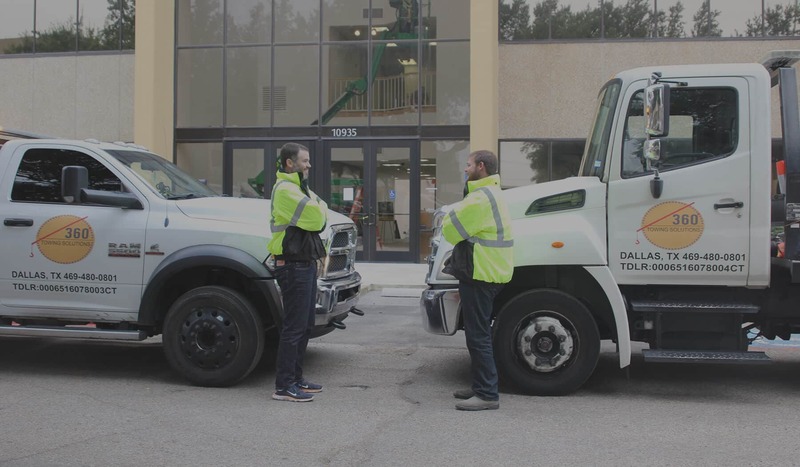 We’ll bring the right tools and equipment to help our support team quickly get you back on the road. They will provide solutions immediately. You get to enjoy top-quality services at prices that will not break your budget. Let us know your concerns regarding your car’s condition. We and our network of independently owned and licensed affiliates may be able to help! We have a wide range of technology that helps us do our job better. We invest in technology because we believe in its ability to up the quality of the work we can do. 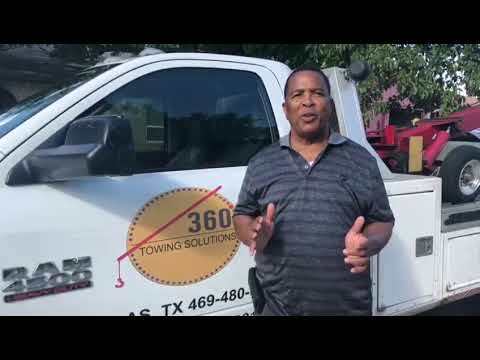 360 Towing Solutions hires only experienced, capable mechanics. We choose them after scrupulous screenings and a period of probation. We look at how much they know and how well they know our craft. Rest assured, the team of mechanics we send you will be able to fix your car problems no matter what it may be. 360 Towing Solutions looks after its staff’s mental health attentively. This is because we want to ensure we are able to provide good-quality services consistently. We look after the work-life balance of our staff and make sure they are able to advance in their careers as well. We ensure camaraderie is exhibited in the team. We believe no man is an island. We grow together. We and our licensed affiliates built this establishment, hoping we can extend help to those who need it. We have been in business for years and have retained close relations with our clients over the years. We also continuously provide superior training to our staff. Trust that our staff knows what they are doing and what to teach you to maintain the good condition of your car.